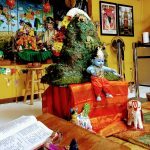 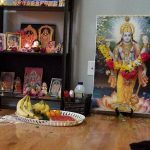 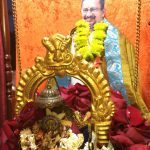 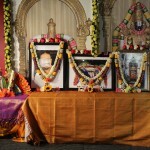 With the immense grace of Sri Swamiji, Seattle chapter of G.O.D celebrated Gokulashtami at the VEDA Sri Venkateshwara temple on September 5th, 2015 from 4:15PM to 7:30PM. 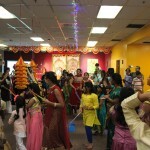 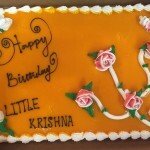 Over the course of the celebrations, around 150 devotees participated and rejoiced the birth of little Krishna. 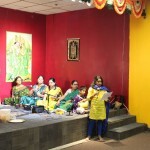 The event started with 45 minutes of Mahamantra chanting. 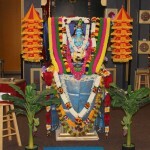 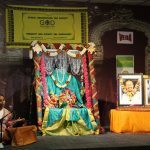 This was followed by Bhagavatha Parayanam of Krishna Jananam combined with Nandotsavam. 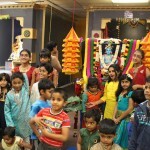 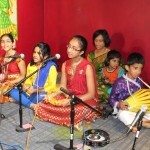 The next part of the celebration was a very unique display collectively put together by the Gopa Kuteeram children and the singers. 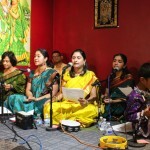 The children recited Hari katha while the singers interleaved the katha with very beautiful Madhuragitams that aptly portrayed the katha. 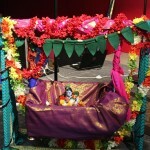 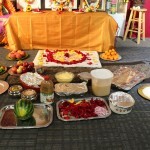 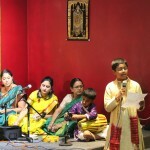 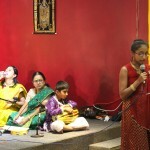 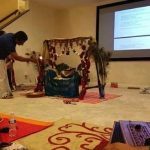 The katha started with the birth of Krishna and included Krishna’s mischief as a little boy, Rasa leela and many more. 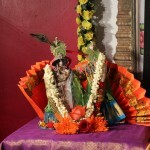 Devotees circumambulated Krishna with kolattam sticks during the various Madhuragitam renditions. 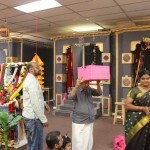 The celebrations concluded with Kaliyaiyum Bali Kollum followed by children breaking a piñata (uriyadi) filled with chocolates. 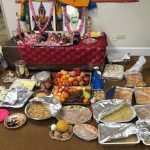 All the while, little Krishna was rejoicing in all the different delicacies that many devotees had brought and offered to him. 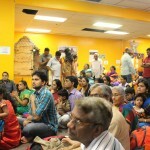 The prasadham was then distributed to all.